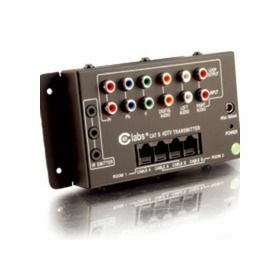 One component of a robust solution that, when paired with a receiver unit (part #41168, sold separately), delivers component video, S/PDIF digital audio, left/right stereo audio and IR emitter transmission up to 300 feet via two Cat5 patch cables, and up to 500 feet via two Cat6 patch cables. 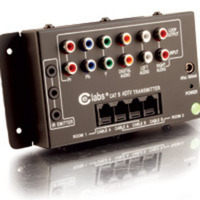 This distribution hub features RCA jacks for audio, component video, and S/PDIF connections plus 3.5mm jacks for IR emitter connections. Dual output ports enable the audio/video signals to be delivered to two separate displays. Loop-through jacks support additional hubs for larger installations. 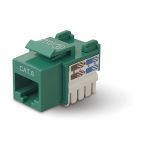 Audio/video baluns provide an economical alternative to coaxial cables for long length audio/video installations. 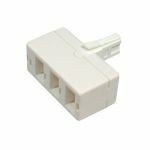 Baluns are able to maintain a critical 75 Ohm impedance to audio/video devices while providing 100 Ohm impedance to the cabling infrastructure. 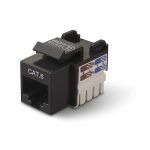 This balanced impedance allows the audio/video signals to travel with little to no degradation up to 300 feet via Cat5, over 500 feet via Cat6. 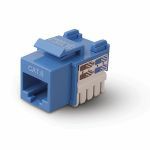 This hub features active amplification for high quality transmission, discrete passive IR channel for the use of external IR remote control systems, loop output for use of additional Cat5 transmitters, and two Cat5 outputs for an additional location.